It’s no secret there are some solid tried and true techniques for catching walleyes. Slip bobber rigs along underground rock points and reefs, jig and live bait over structure, pulling flies in river systems and of course trolling are all proven tactics. However, certain times of the year and conditions require special techniques, and one of those is working a jerkbait. 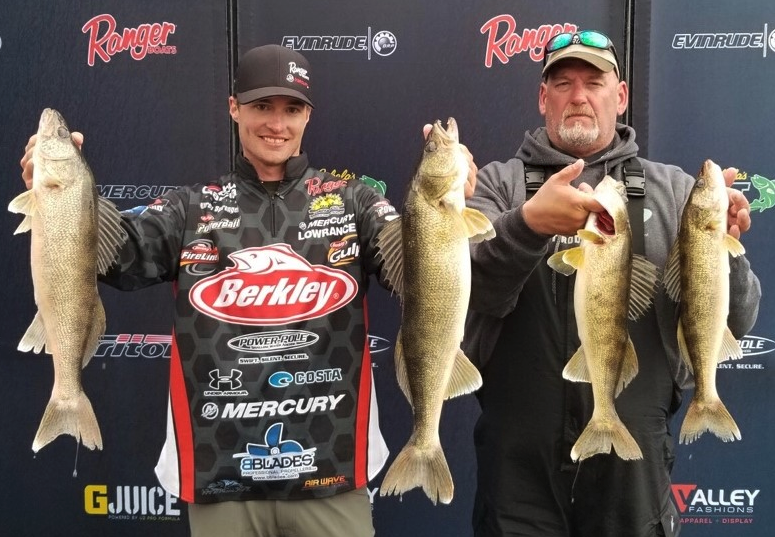 In the most recent event of the Nation Walleye Tour held in Oshkosh Wisconsin on 5/10/2018, Wisconsin native, Korey Sprengel took home the first place prize fishing the Lake Winnebago system. One of the key tactics Korey deployed was casting jerkbaits into an east wind. Conditions lined up perfectly to cast jerkbaits into the dynamic spring conditions of the Lake Winnebago system. At this time the walleyes were hungry and on the tail end of post spawn thanks to an unusually snowy April that kept Midwest water levels high. With abnormally high water, this meant turning to the upper lakes of the Winnebago system and finding shallow water with structures such as cane beds, rock piles and weed beds. The naturally slender design of most jerkbaits makes them very castable, even in windy conditions – so they are a great spring bait choice. When targeting these specific points of structure a jerkbait allows anglers to mimic the popular minnow forage in places that sometimes cannot be trolled accurately. Depending on your body of water, the best jerkbaits for walleye fishing mainly depends on their running depths. Jerkbaits like the Rapala Ripstop are not only deadly on spawning bass, but also work great for shallow water walleyes. The hard tail kicking action entices rod-bending bites. The Ripstop weighs ¼ oz, which may inhibit it on windy days a bit, but when fishing in 3-6 feet of water its hard to beat! It’s pretty easy for walleye anglers to overlook the Strike King KVD jerkbait packaging when searching for new walleye hardbaits, but make no mistake this can be a dynamite walleye bait. With a 4.5” profile and 3/8 oz weight, the KVD Jerkbait casts like a bullet into the wind and can be worked down deeper producing lively action with quick 6” rod twitches. Another great jerkbait option for walleye anglers to try is the Luck-E-Strike Rick Clunn Jerkbait. This suspending jerkbait is extremely versatile when it comes to different water depths thanks to its suspending design. It looks great in the water and when paused on the retrieve it remains perfectly balanced. 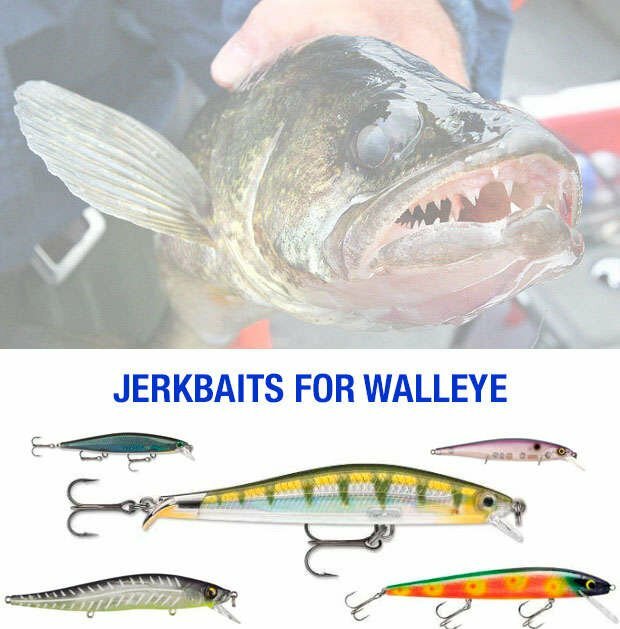 Thanks to special engineering the Luck-E-Strike Rick Clunn Jerkbait is easily one of the best jerkbaits for walleyes producing a deadly darting action and its long list of available color patterns.